Private foundations, as well as other tax-exempt organizations, are required to make available for public inspection, upon request and without charge, a copy of its original and amended annual information returns. Each information return must be made available from the date it is required to be filed (determined without regard to any extensions), or is actually filed, whichever is later. An original return does not have to be made available if more than 3 years have passed from the date the return was required to be filed (including any extensions) or was filed, whichever is later. An amended return does not have to be made available if more than 3 years have passed from the date it was filed. Copies of the Foundation's Form 990-PF for the 3 most recent tax years are included below. A copy of the Foundation's tax exempt status information is also included. To view these files, you must have the Adobe Acrobat Reader installed on your system. If you don't have the Reader, you can get it at the Adobe Web site for free. 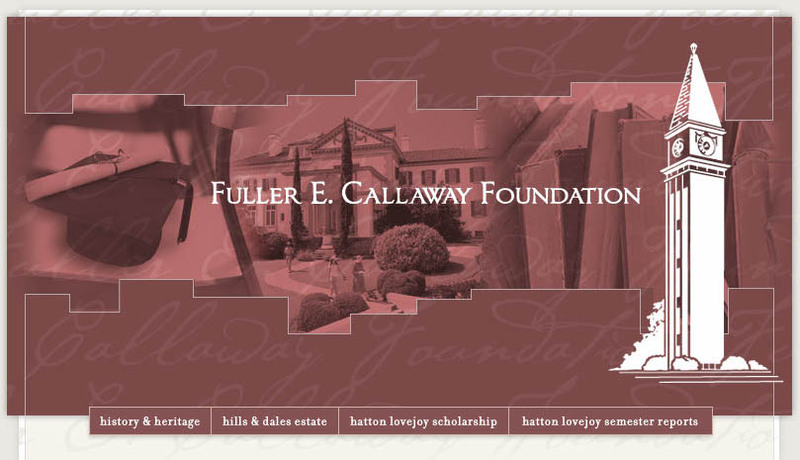 ©2005 - 2019 Fuller E. Callaway Foundation. All rights reserved.